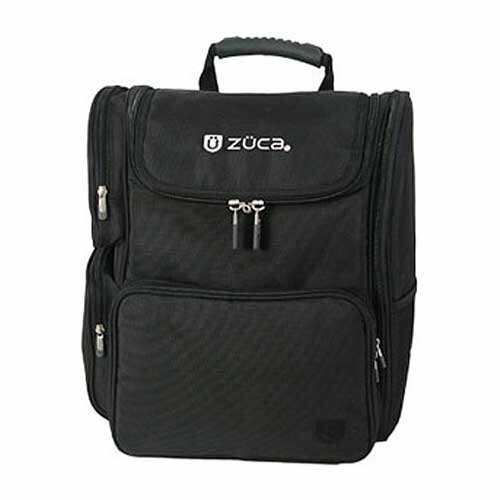 The Zuca Stylish Business Backpack comes complete with a padded laptop sleeve for a 15" screen. For those who travel with tons of documents, the 2 interior expanding file pockets are a saving grace. Includes a side-zippered office organization pocket and a portal for your iPod. Built-in straps secure the backpack to your Zuca rolling case. Padded back and ergonomic shoulder straps. This sweet bag will even stand tall when fully loaded. Size: 16" x 14" x 9"